Divided into 12 short units, this easy-to-use language course with three audio CDs will help beginners speak with fluency and ease. Each unit introduces five key words and phrases before expanding into basic vocabulary and syntax. Practice activities, memory tips, and etiquette advice are also provided along with an accompanying 48-page color booklet that provides full transcripts from the audio discs. Ideal for travelers and the time-crunched, this is a fast and simple was to learn a new language fast. Units include: Hello; Excuse me; Where's the bar? ; Over there; What would you like? ; Have you got any!? ; Can you help me? ; I want to go to! ; Have you got a room? ; It hurts; I want to make an appointment; and What's it like? Beginning in February 1952, Dylan Thomas made a series of memorable and historic recordings for a new record label called Caedmon. In fact, Dylan Thomas was the first to record for this new label, started by two 22-year-old women, Marianne Roney and Barbara Cohen. Little did they know that in addition to capturing a part of history they also launched an industry of spoken-word recording. This collection not only contains the incredible Caedmon recording sessions, but also recordings from the BBC, CBC, and other archival material Caedmon originally published in the 1950s and 1960s. Highlights include: "A Child's Christmas in Wales" and "Five Poems"; "Do Not Go Gentle Into that Good Night," his prose: Adventures in the Skin Trade and Quite Early One Morning, and his final work - Under Milk Wood, a play. 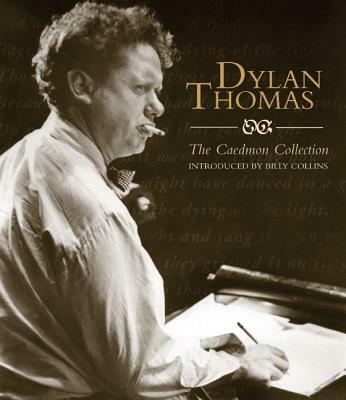 With stunning original album cover art, and an introduction read by former poet laureate Billy Collins, this unique collection includes not only Dylan Thomas reading his finest works, but also rare recordings of Thomas reading his favorite writers, including W.H. Auden and William Shakespeare. This bestselling language course is now with an audio CD. Learners can use the Teach Yourself Language Courses at their own pace or as a supplement to formal courses. 2 CDs. Learn Swedish in just 10 lessons! Perfect for complete beginners or those in need of a brush up, "Teach Yourself Swedish Conversation" introduces you to the key words, useful phrases, grammar, and sample conversations you will need to start speaking Swedish immediately. In this audio program there are plenty of review opportunities, so you can gauge your progress and reinforce what you have learned. You also get additional guidance on holding two-way conversations, addressing such issues as speaking with people who talk very fast or use words and phrases you don't know. Teach Yourself makes learning Bengali easy The languages spoken by the people in the India and Pakistan region are plentiful and diverse, just like their speakers. Here Teach Yourself gives you the opportunity to one of these major southeastern Asian languages. "Teach Yourself Bengali Complete Course" allows you to study in the comfort of your own home, at your own pace. It introduces you to practical themes, such as making travel arrangements, meeting someone new, shopping, and other every day activities. Includes two audio CDs with listening and speaking exercises. Unlike most language learning systems, the Michel Thomas Method enables listeners to naturally and intuitively develop the building blocks for language comprehension. A language instructor and native speakers help students put together words and phrases naturally to make their own sentences. With the innovative Michel Thomas Method, more than one million students have learned a foreign language. Now, the remarkable Michel Thomas enables intermediate students to master French in this acclaimed 5-hour audio program--all without memorizing, homework, or stress!